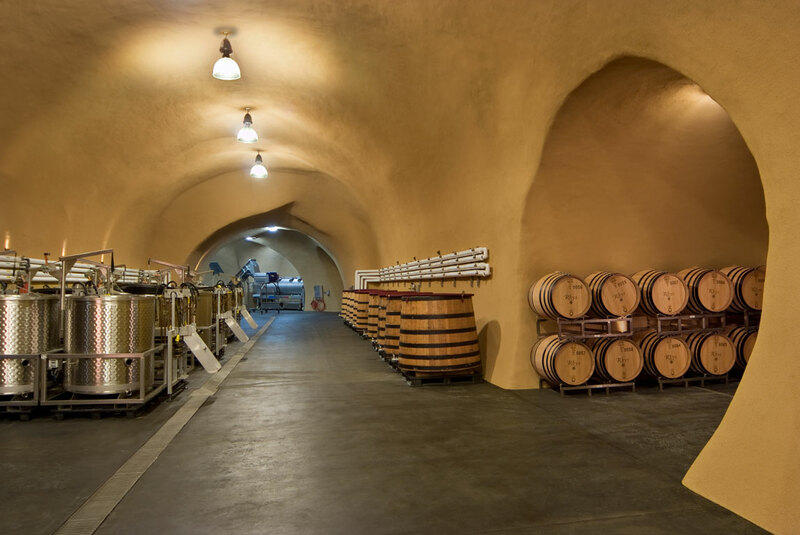 Fruit Receival – our 30,000 square foot cave, completed in 2010, is engineered for an efficient natural flow from grape arrival through bottling. All of our fruit is hand picked into 500lb perforated bins, and as fruit arrives at the winery it is unloaded into a room that is cooled to 40F, allowing the grapes to remain cold until they can be sorted. 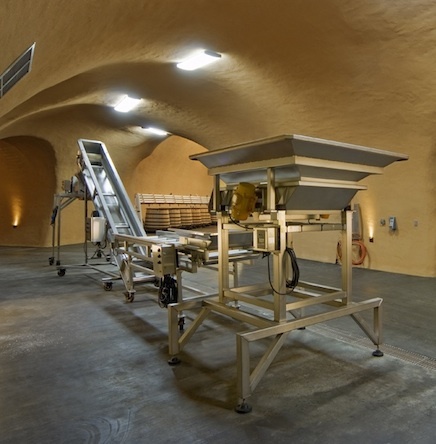 This “bin cave” leads directly to the crush pad, where all grapes are sorted and gently gravity-fed into one ton fermentation tanks. This process is slow (roughly one ton per hour), but guarantees that only the best fruit makes it into the fermentation tanks. 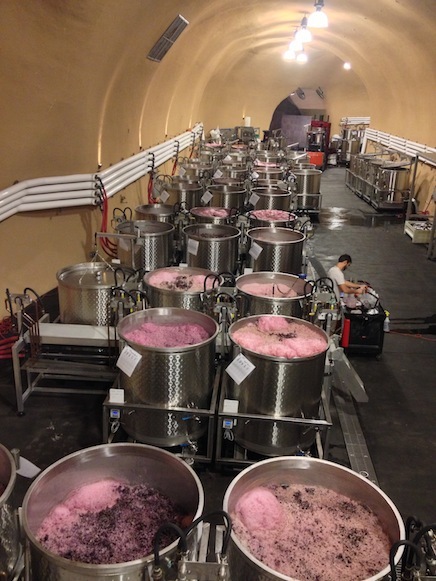 Fermentation – one of the most important components in our winemaking regime is the use of one ton fermentation tanks. These tanks allow us to microvinify very small sections of our vineyards, giving us the opportunity to compare minute differences in terroir, leading to increased understanding of our vineyards year after year. Because of the small size of these tanks (only 4 feet tall and 4 feet in diameter), operations that would normally require machinery are easily accomplished by hand. 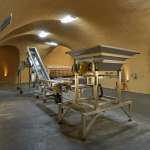 The tanks can be lifted for gentle gravity draining, and are small enough to accommodate foot treading in place of mechanical punchdowns or pumpovers. The gentle nature of foot treading preserves the complex aromas and flavors and allows for an instant tactile assessment of each fermentation. All fermentations are native, utilizing the natural yeasts present on the incoming grapes without the use of nutrients. We have found that rigorous and conscientious farming that promotes biodiversity in the field produces grapes that have plenty of natural nutrition for fermentation. These native fermentations increase complexity and enhance vineyard expression. By using this natural approach, we have discovered that each of our vineyards has its own fermentation “personality”, where similar fermentation tendencies can be observed over multiple vintages. Fermentation parameters such as peak temperature, cold soak time and foot treading regime are consistent across all vineyards, producing wines whose differences are predicated on where they are from, not how they were made. In the cellar, we employ barrels built from the finest French Oak that have been air dried for four full years in Burgundy. This expensive program requires that we purchase our oak as uncoopered stave wood 4 years before the barrels are even made, but accomplishes two primary goals: very consistent barrels year after year, and wines that are differentiated entirely by the vineyard and not by the barrel. 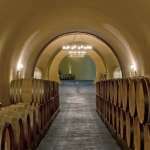 The resulting barrels are extremely gentle and help raise our wine with pure fruit rather than noticeable oak flavor. The white barrel room. 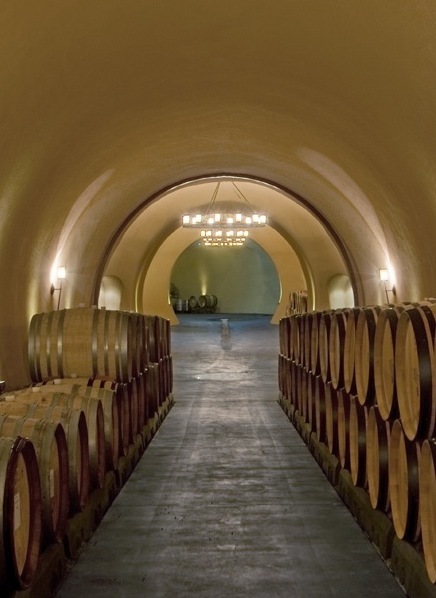 Our Chardonnay ferments can take a year to finish, so temperatures can be controlled separately in this room.